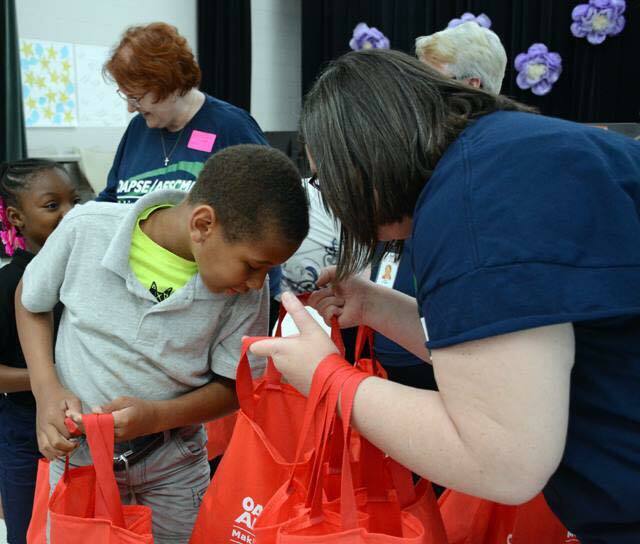 In a huge demonstration of giving back to the community they work in and love, members of OAPSE local unions 137, 443 and 306 at Lima City Schools provided totes full of food to 1,650 elementary students in the district. The May 17 event at Unity Elementary School in Lima was made possible through the OAPSE Making a Difference, Inc. charitable foundation (OMAD), which is funded by donations from OAPSE members, locals, districts and staff and the generous donation by Champion Foodservice of greatly reduced food. In addition, the local members provided healthy snacks to all middle school and high school students in the district. These Lima school employees are school secretaries, paraprofessionals, librarians, food service workers, bus drivers, network specialists, custodians and maintenance workers who touch the lives of these students every day. Click on the video below to see more about our day in Lima! 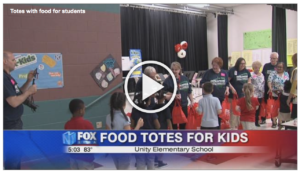 “We were able to give all of our students in Lima nutritious food and a reminder that we really care about them and want them to be at their best so they can do well in school,” said Sandy Wheeler, state secretary and president of the foundation. The students in Lima are from some of the most economically disadvantaged households in Ohio. They were the focus of the fourth OMAD project undertaken by OAPSE since 2014. Past projects include providing food and totes to 2,000 elementary students in Columbus City Schools; providing food and totes and establishing a permanent food bank at Fairland Local Schools; donating 1,500 totes filled with food to students at East Cleveland City Schools and donating Subway gift cards to high school students there. “We work with these students every day, and we know that some of them miss meals at home. 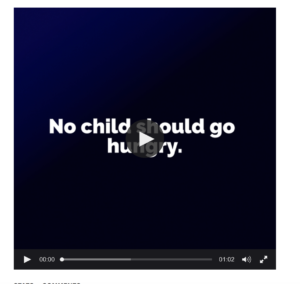 In fact, for some of them, the only meals they get are at school. OAPSE Making a Difference has been a great opportunity for us to give back where it is needed most,” Wheeler said. Members of the local unions stuffed the totes as a team and then delivered them to students at Union Elementary. They were joined by Superintendent Jill Ackerman and Unity Principal Tricia Winkler. To see news coverage of the OMAD event, click on the video link below.